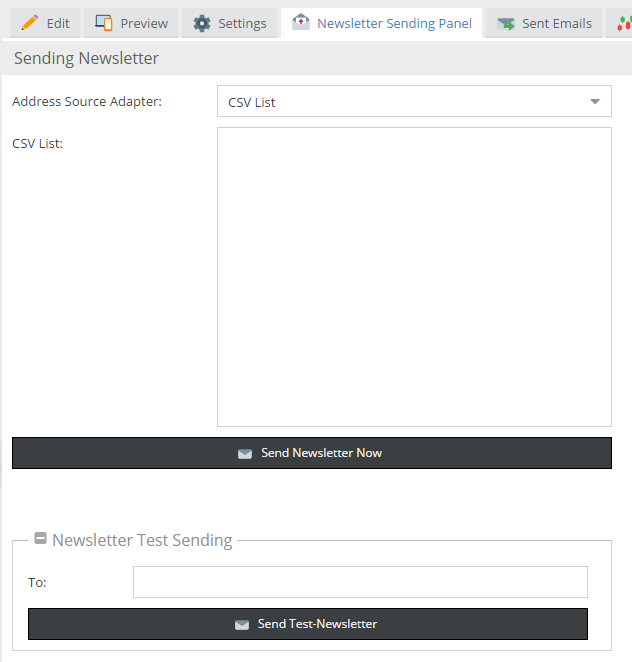 The Address Source Adapter is responsible for extracting the email addresses the newsletter should be sent to. It has to be selected before another action can take place. Currently following adapters ship with Pimcore. It is easily possible to integrate custom adapters - see section below. PHP Class: This class is the server side implementation of the adapter. It is responsible for retrieving and preparing the email addresses. It needs to implement the interface AddressSourceAdapterInterface. As sample see csvList.